In Jiu Jitsu class, it’s not uncommon to hear a coach utter this common refrain: “Stop constantly asking me for tape! Bring your own to class.” Athletic tape in BJJ is extremely important to have at all times! Taping helps guard against injury and saves months of recuperation time. Taping also helps keep your joints intact. Tape can be purchased at any pharmacy or sporting goods store. It comes in various widths, but the one recommended for fingers is ½ inch thick, or even thinner. Be careful of your fingers! Even if you’re a spider, or a de la Riva guard specialist, you don’t need to be hanging on for dear life — a grip intensive game is really not necessary. Choices that will be easier on your fingers are Butterfly, Closed, and Half Guard. Try this exercise: Tape up a couple of fingers on one hand, and leave the other hand alone. You may notice after your training that the hand you haven’t taped feels achy, and the other one feels great. Tape is your best and cheapest investment in the world of martial arts. There are a few different ways of taping your fingers. First and foremost, it’s important to realize you want the tape to hold tight, but not be cutting off your circulation. “Single joint control” is probably the easiest way to tape your fingers (or toes). For this method, you simply put a ring of tape on either side of the joint. “X” and “Buddy taping” are other good methods for dealing with already injured joints, to prevent mobility in the affected area. Marcelo Garcia, arguably one of the best grapplers in the world, divides his training time into 50% gi, and 50% no gi. No gi is a great way to train because you develop many non-grip dependent submissions. Mastering the overhooks and underhooks in a no gi stance can be deadly. These are great “add ons” to bring to the mats when you practice with gi. Training with no gi also requires much more technique and speed since a lot more combinations have to be used in order to submit your opponent when collar and lapel chokes become impossible. In the event of an injury, it’s very important to get lots of rest, ice the affected area, and take some anti-inflammatory medication. 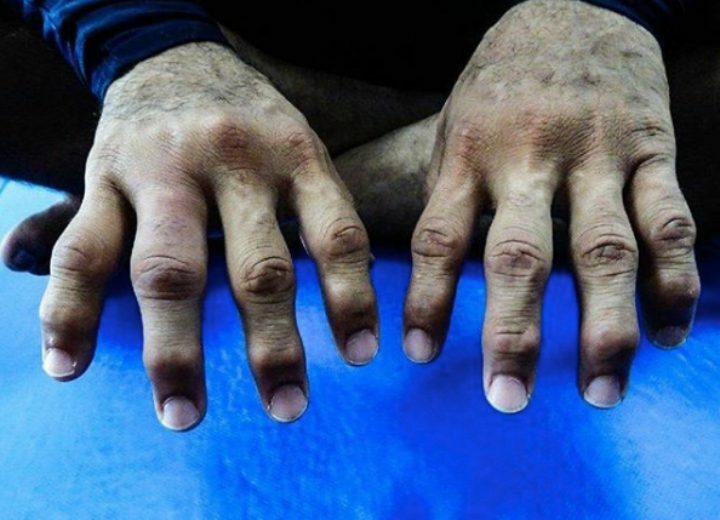 Many grapplers call this, “Vitamin I” for Ibuprofen. Try training with one hand, or work on a new style of guard. If your fingers or toes are sore for more than two to three days, seek professional medical help.